As a landlord, you know that residents of single family rental homes can be quite creative when it comes to using their rental homes for unauthorized purposes. When these uses result in lease violations, however, the situation can get very difficult in a hurry. This is particularly true when a renter is using a rental home to run a business. Rental homes are, by definition, residential properties. Any use of a residential property other than as a private residence may result in trouble and could create liabilities for you as well. Most cities, counties or owners associations have clear ordinances that, if violated, can lead to fines or other penalties. Although the dangers are real, determining whether a renter is running a business in a rental property can prove difficult. Some types of activities, such as freelance work, may technically violate a lease that forbids business activities, but are nearly impossible to prove. Other types of business activities may increase wear and tear on the property, or create nuisance issues, such as hosting clients, shipping or receiving large quantities of products, or using the garage or other spaces for production or inventory purposes. Increased traffic or materials going in and out is one of the more obvious red flags but figuring out whether this is related to a business venture can be tricky. Complaints from neighbors are a double-edged sword: they can alert you to a problem, but they can also create hassles for you as well. The last thing you want is for your rental to become notorious as “that house.” But even worse, you don’t want to damage your relationship with your renters by leveling false accusations about suspected lease violations. As a property owner, you’ll need to act quickly to put a stop to unauthorized business activity in your rental homes or risk liabilities. But figuring out whether a violation has actually occurred and how to take appropriate action can be difficult. That is why hiring a reputable property management company is so important. An experienced property manager can help you avoid the difficult path of unauthorized business use of a rental home in several ways. First, they will include appropriate language in the lease itself, defining the terms of the appropriate use of the residence. A good property manager will properly vet potential renters, checking carefully for red flags and past violations. 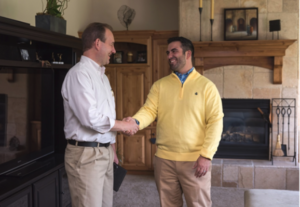 A great property manager will also schedule and perform regular rental property evaluations, gathering information that can assist in identifying any contract violations. Finally, they will resolve the issue in the event of a business use violation, providing you with peace of mind about your valuable real estate investment. Appropriately managing a property and preventing issues like residents running an unauthorized business out of your rental home is not something that can be put on autopilot. Have a problem with your rental? Give us a call! 801-571-7400 so we can help put together a plan to get your investment back on track! Visit our Education Center and Video Library for more tips tools and resources! How to write your own lease agreement. The devil is in the details.